It should be obvious why the Quebec government wants to ban religious teaching in all publicly subsidized daycares and schools. In a country as diverse as Canada and in the ever-increasingly diverse province of Quebec, it is absurd for the government to sponsor any form of religious indoctrination. But this decision, announced by Quebec Family Minister Yolande James in December, was not as obvious to some. According to an article in The Globe and Mail on the matter, there have been various complaints on the grounds that the new policy violates peoples’ religious rights. This policy does not stop anybody from teaching religion in daycares; the only thing this policy changes is the eligibility of these daycares to receive public funding. The last time I checked, getting paid by the government to indoctrinate children has nothing to do with one’s religious rights. Beyond the undeniable legal validity of this decision, it should be common sense that in the Western world public dollars should not fund religious teaching, especially to children as young as toddlers. There is certainly nothing wrong with teaching children about different cultures and religions of the world in an effort to promote tolerance and enlightenment, but this must be dealt with seriously and conscientiously before a certain age. Young children can’t be expected to have the sufficient critical thinking and decision-making skills with which to evaluate information given to them by authority figures in their lives. 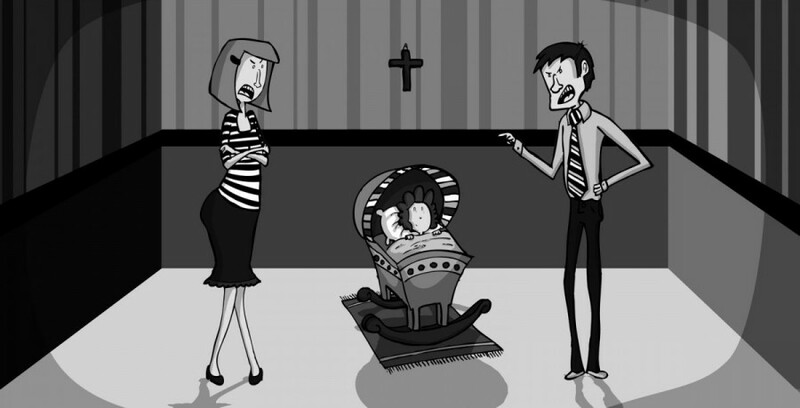 In any case, establishing a dialogue about religion so early in a child’s life ought to be left up to the parents. There is simply too big a risk of early educators confusing children with loaded language based on their own religious beliefs and biases. If a family wants to give their child a religious education, that is a personal decision that begins in the home and in their respective religious community. And furthermore, parents who do not elect to raise their child in any religion should not be placed in the awkward position of having to undo the damage when their children get home from daycare wondering why mommy and daddy don’t take them to church. Most importantly, allowing indoctrination into public daycares is bound to lead to an element of alienation for those children who are not a part of the religion being instructed. It is difficult enough being different from other children—be it a non-religious child amongst religious children or a religiously-raised child among children of a different faith—without having the teacher express bias in favour of some and against others on top of it. Especially in the earliest stages of education, establishing a safe, inclusive environment for all students is essential, and that simply cannot be done when such biases are introduced into the classroom. Those complaining would do well to take this opportunity to instruct children on tolerance and critical thinking in a world that seems, far too often, to lack both. Should we sing “Silent Night” in our school play? Can we tell the children stories about Eid al-Adha? Are we allowed to teach them about the Sabbath? The government is answering no to all these questions. This June, public daycares in Quebec are banned from giving religious instruction to young students. The new law states that any religious education or school plays, arts and crafts, prayers, and songs involving religion are no longer permitted. If everyone has a right to their beliefs, why is the government marginalizing religious families? The decision will not outlaw religion from private intuitions, but religious families will now have to pay substantially more for daycares that allow religious teachings. Parents currently pay $7 a day for public daycare. On the other hand, the cost for unsubsidized private daycares, such as the YMCA’s, can go as high as $38. Regardless of the fact that daycares with a religious focus will still exist, the difference in tuition would be too much of a financial burden for some parents. Religious families, who will send their kids to private daycare, can end up paying up to $744 extra a month. This is basically what the new ban is countering; now we don’t have a say in what our kids learn. The enforcing of secularism brings the government into what should be a family decision. Parents who send their kids to religious daycares are well aware of what they are taught. The fact that they sent them there in the first place means this is what they chose. Otherwise they would have sent them to a regular daycare. Parents want their kids to be exposed to their religion from a very young age. If you are a dedicated Catholic or Muslim family, you too would probably prefer if your children knew who Jesus or Allah is. The core of religious teaching in day cares emphasize spirituality and strong ethics. What dangers could hymns or poems pose to a child? We should encourage diversity in the next generations, not try to suppress it. An article in The Montreal Gazette stated Family Minister Yolande James trying to fully explain the new rule, saying the ban prevents teaching a belief of a religion, but doesn’t ban traditional activities and symbols, like Christmas trees. There is a big difference between having a say in something and having power over it. Quebec did not suggest secularizing day care, it enforced it. Low-income families who cannot afford private education should have a right to choose their child’s education. To issue a statement that says, “we are banning religious instructions in daycares, but are keeping the private ones” grossly ignores the numbers that actually exist. In Quebec, there are 100 daycares with a religious focus—public and private. If we were to eliminate the public ones, there will not be enough private schools left, even for the parents who can afford them. So what is the government trying to say—that religious people don’t have a say?